There are a lot of WiFi bridges that can connect your boat to the Internet, though as I mentioned in my article on marine internet, depending on WiFi for connectivity while travelling can be hit and miss. 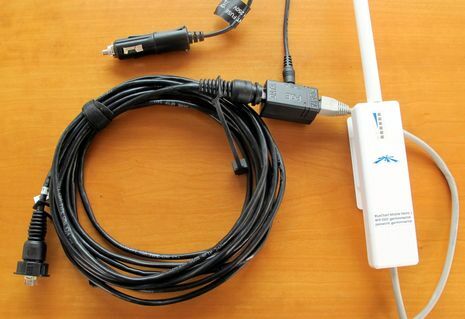 But, without a WiFi bridge the chances of a usable connection decline dramatically because your laptop’s or tablet’s low-power WiFi radio and small internal antenna have limited range, and especially so lower in the boat. Once you’ve decided to add a WiFi bridge the variety of prices, features, and sizes is wide, but I believe the most important factor is the user interface (UI). In this entry I’ll illustrate the difference between general purpose and marine specific interfaces and also some differences among the latter. In WiFi bridges (and most other networking hardware for your boat) there’s a choice to be made between marine specific products and general purpose equipment made for homes or offices. Many of the marine specific options are actually general purpose hardware with power, mounting, and a user interface designed for use on a boat. The UIs on general purpose products are made for a set it and forget it type use. Typically at home or at an office you won’t be connecting your whole network to different sources of internet connectivity on a regular basis. On a boat, if you’re travelling, you may connect to a new network for internet connectivity every day. Because of the different way they’re designed to be used the user interfaces are pretty different. Most of the marine vendors, and both that I talk about below, have created software designed for boaters and the way boaters use WiFi birdges. Down below I’ll also discuss price, hardware and support differences between these two main WiFi bridge categories. I’ll walk you through the process below on a Ubiquiti Bullet, my example product for general purpose, and two marine specific products. 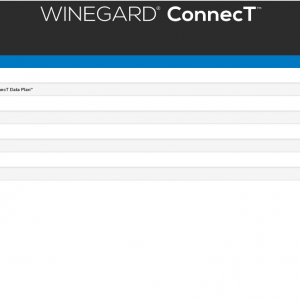 One, from Wave WiFi, which has a highly evolved user interface highly focused on the job at hand, the other, from Winegard, is a more bare-bones experience. 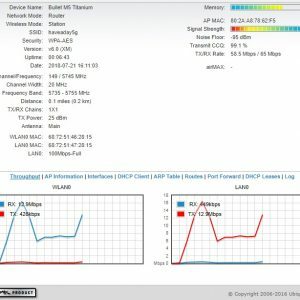 Ubiquiti’s Air OS is a mature and well thought out operating system, but it’s designed for a user who will set up the unit once and not interact with it very often. There’s no concept of favorite networks, no easy to digest home screen, and connecting to a network involves all the steps above. Now, layer in the reality of cruising where you frequently have to try multiple networks before you find one with a decent connection. That 10 step process can become truly onerous. 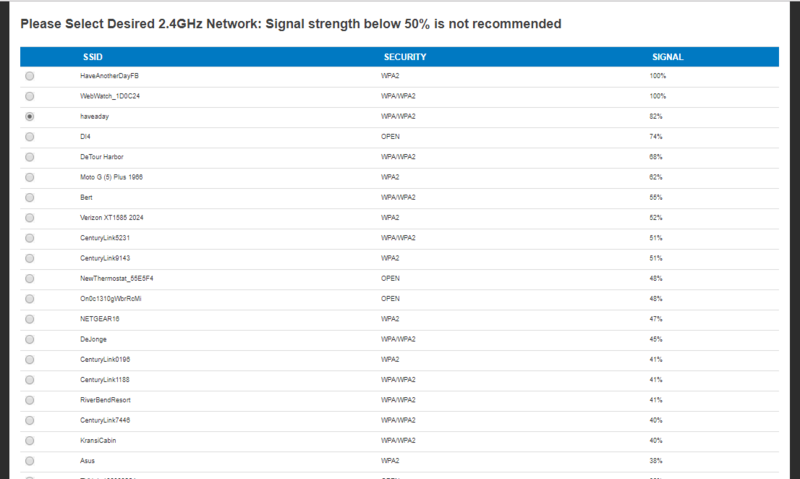 I should be clear, I’m not trying to single out Ubiquiti. Ubiquiti makes great hardware with a powerful and (for the intended purpose) user friendly interface. But we mariners, promiscuously connecting to gobs of networks, aren’t the intended purpose and some time using the UI will remind you of just that. 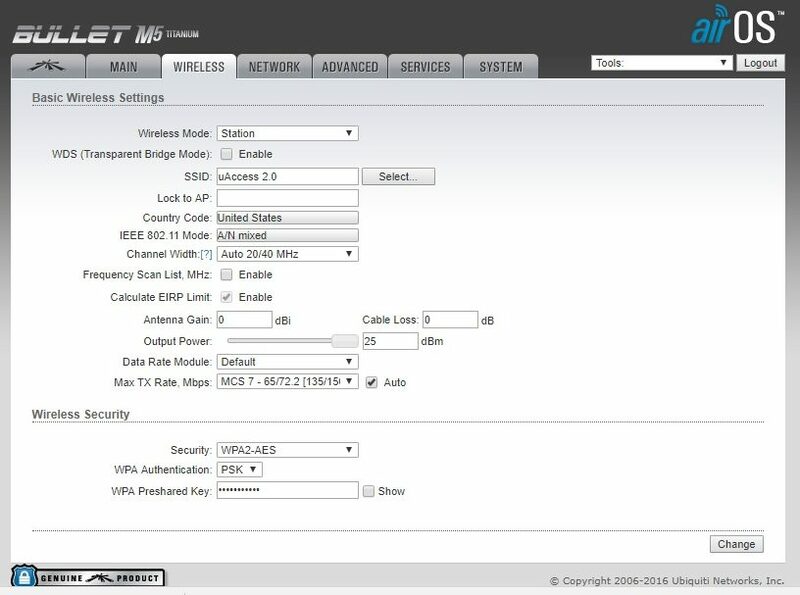 As can be seen in the screen shots above, there’s a ton of information presented by Ubiquiti and a lot of features. But, this comes at a price and that price is simplicity. The device can be configured in multiple modes (bridge, access point, repeater). 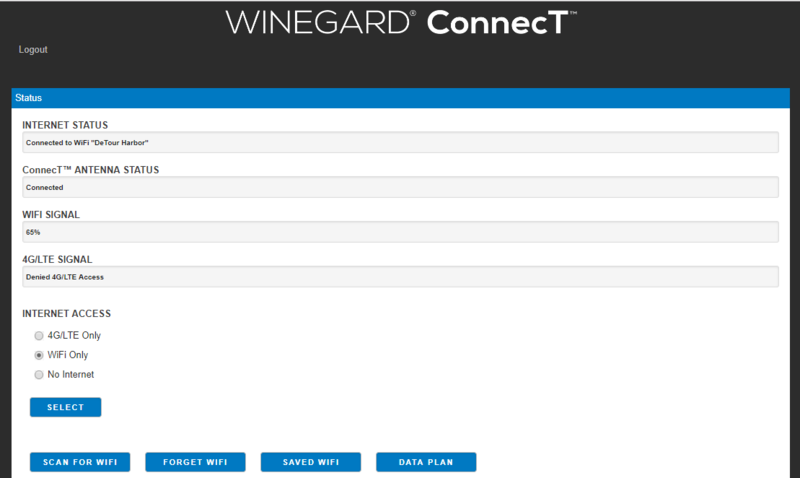 It also supports the latest wireless standards, advanced networking features, and extremely in depth logging and status information. Many of the marine specific companies use or previously used Ubiquiti’s hardware. It’s very cost effective and capable hardware. If you want the cheapest solution out there it’s likely to be from Ubiquiti, Microtik or Engenius, but at the expense of the preconfigued kit, purpose built software and support. So, what took ten steps on the Ubiquiti took four on the Wave. 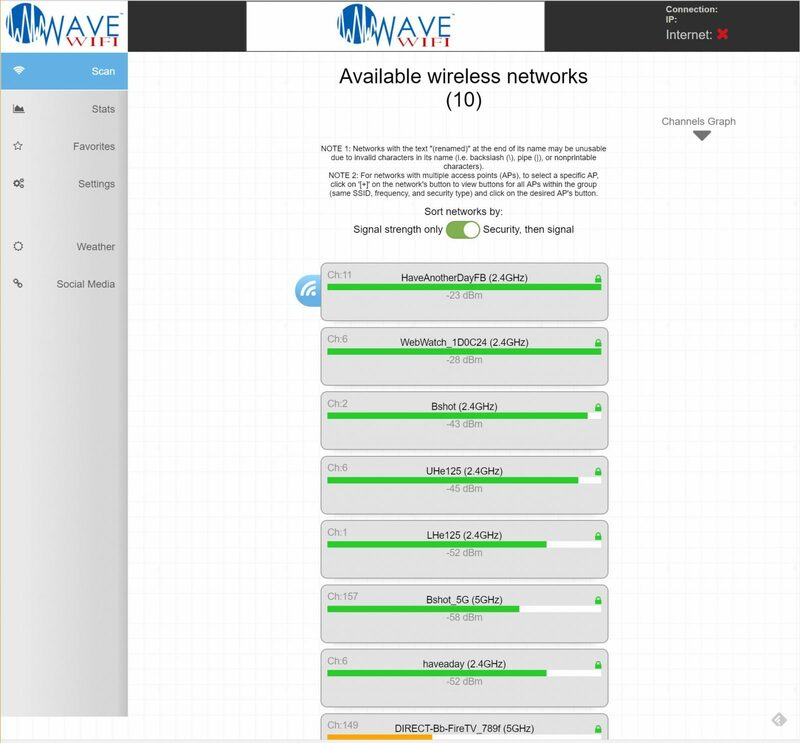 Wave seems to really understand that the main reason you would load the interface is to connect to a network. So, rather than bring you to a welcome or status page they jump right into a list of networks. 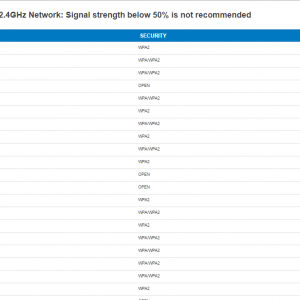 If you’re connected, the current network is on top, otherwise, you’re shown a list of networks available with the option to sort it by signal strength or security type. This focus on efficiency delivers the four step quick connection process. Once you’ve connected to a network you can click the star icon shown in the first screen shot above and add it your list of favorites. Now the connection information, including network password, is remembered and anytime the bridge sees that network in range it will connect. Wave employs this interface across their product line so you only have to learn one interface. Wave also supplies a graphical view of the RF spectrum which visually depicts the channel location and signal strength of the networks it sees. 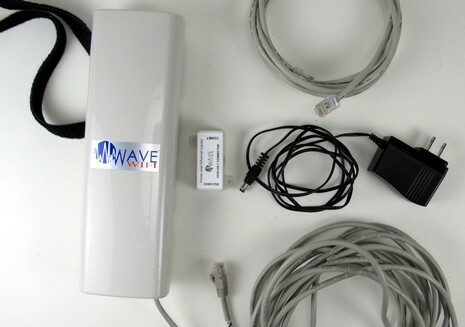 Once connected to a network, Wave offers a graph showing signal strength and noise for a connection. In a crowded RF environment watching the level of noise on a connection can indicate if interference is overrunning the signal of your network. When the Wave device works well it’s easy to use with a pleasant interface. When things aren’t working there’s very little for a more advanced user to go on. The system logs aren’t exposed to the user so you’re left to wonder why things aren’t working. I think this is sort of consistent with Wave’s thinking, if the network you’re trying isn’t working, move onto the next one. The good news is that on the Wave end I found the unit to be reliable and able to connect to properly configured networks with a minimum of fuss. I did see the “Connection Lost” error from screen shot 6 above somewhat frequently, despite a strong connection to the bridge. I think it’s likely that the marine specific offerings with a much smaller user population and smaller development staffs are likely to have a few more bugs. I found the Connect to have the fewest bells and whistles but all of the core functions worked well and proved reliable. The Connect seems to pull in the most WiFi networks and showed consistently strong RF performance. During the time I’ve had the Connect on my boat I’ve gotten quite a few questions about the unusual looking device on the boat. Some people seem uninterested in it because of the looks of the unit. 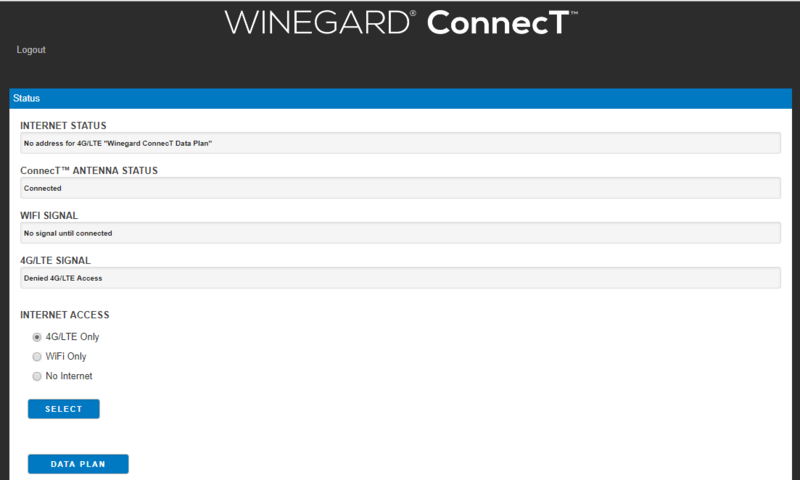 Winegard has come out with a new Connect product for the RV market that is a more traditional shape, looking a little more like an enclosed radar unit. They haven’t yet come out with a marine version but may well. There’s frequently a large cost difference between general purpose and marine specific bridges. Let’s compare a Wave WiFi Rogue Wave and a Ubiquiti BM2HP. The Rogue Wave can be purchased online for about $335 while the BM2HP is available for just $72.21. That’s it, right? Case closed, buy the Ubiquiti Bullet and save $250. Not so fast, first, let’s not forget the difference in user experience we talked about above, but second, with the Bullet all you get is the Bullet itself. 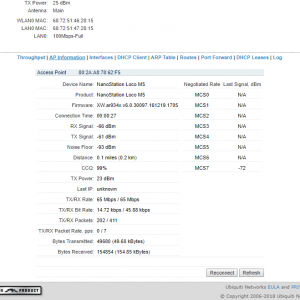 No POE injector, no antenna, and no means of mounting. The Rogue Wave comes with all that. Now the $250 difference is more like $175 and we haven’t figured out a mount just yet. I’ve “engineered” my own mounts for Bullets quite a few times. They tend to range from copious quantities of zip ties to PVC enclosures. The PVC enclosures work quite well, but are probably another $15-25 in PVC bits to make it happen. But, I still haven’t talked about what could be the most important difference of all, support! With the marine specific products you’re dealing with someone who understands how you will use their product. If this isn’t technology you’re comfortable with, that difference alone probably bridges the rest of the price gap. Amplifying this difference is the support of professional marine installers familiar with the marine products, and for most boaters, I suspect the decision is easy. If you have a background in technology, a desire to tinker, and a need for more control than you’re afforded with the marine specific products, then there’s a good chance general purpose hardware outfitted on your own is a good fit. If you’d like to get on your boat and have things just work, there’s a great chance you’re best served with one of the marine specific providers and their pre-configured solutions. 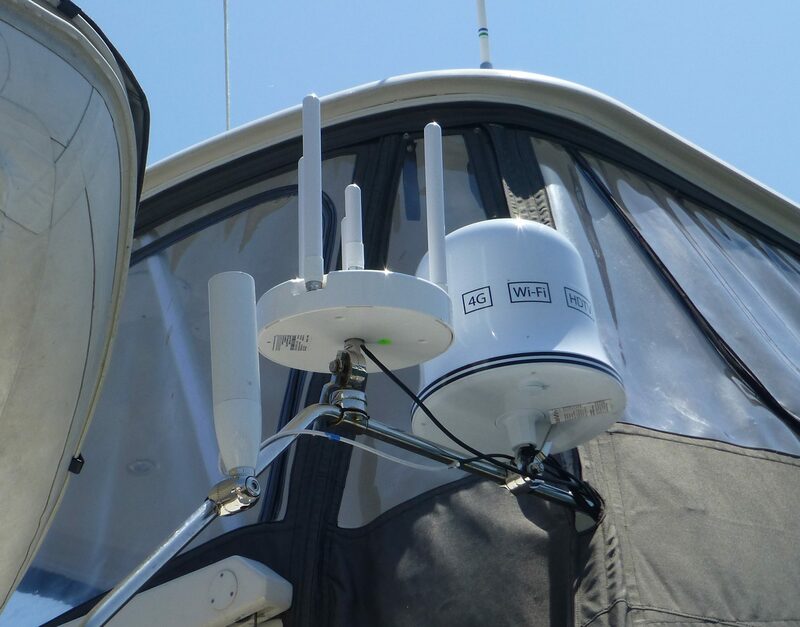 Each of these options will improve the range and signal strength of WiFi connections from your boat to shore. The choice of interface, capabilities, support, and mounting options is likely to impact your success using the product and quite possibly your level of frustration as well. It’s been my experience that a product that is difficult to use is less likely to be used. Based upon the number of boaters I’ve talked to who have a WiFi bridge still in the box or installed but never used, my experience isn’t unique. …and it’s gotten better. For instance, it now smartly manages how much power the Ubiquiti Bullet uses to connect to a hotspot, which is good because too much power can apparently hurt performance and also cause issues for WiFi neighbors. 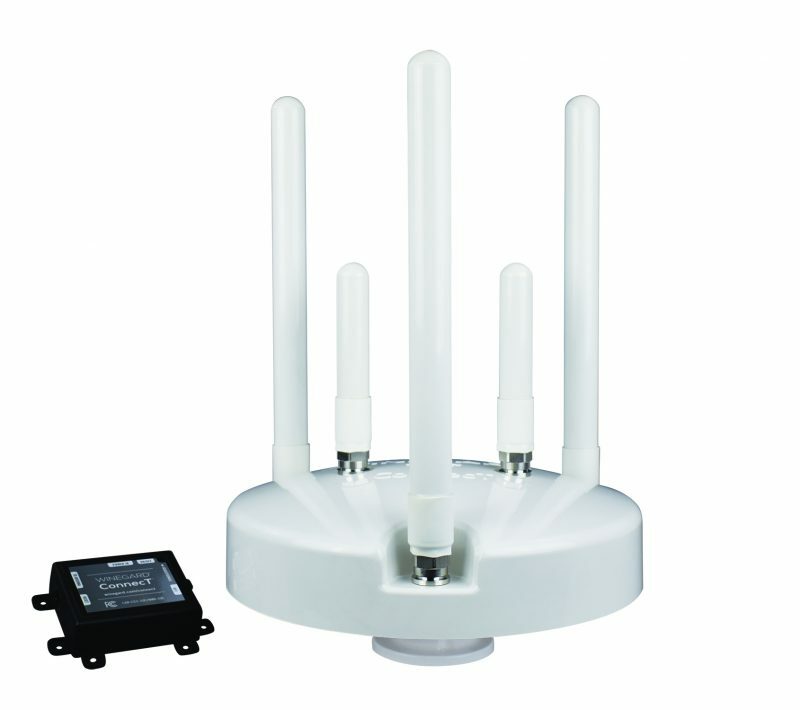 The CMW system initially sets power based on the signal strength it sees from an (easily) chosen hotspot, and then it monitors the connection as you use it. If it sees a high error rate, the EasyBullet app pops up an alarm suggesting increased power and then walks you through the process. As discussed in 2015, the CMW also lets you access the underlying Ubuquiti Air OS that Ben S illustrated above, and I’m sure tx power can be tweaked there as well. The Coastal Marine app looks interesting. I’ll have to check it out. I love the Coastal Marine app and the build quality of their antenna enclosure. Note that in their latest app update the ability to use passwords for public hotspots that have been uploaded by other users has been removed (due to complaints, I hear). That was very useful functionality that I’m sad to see go. I’m going to connect to the same WAP anyway, but now I have to take the extra step of going ashore and asking for the password. I’d recommend contacting Island Times (http://islandtimepc.com/marine_wifi.html) if you’re interested in expanding your wifi capability. The owner, Bob, put together a nice setup using the GrooveG-52HPacn-US encased in a waterproof clear plastic tube with various mounting options. 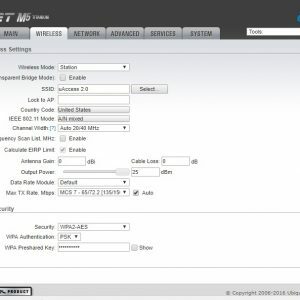 The user interface is very similar to what Ben described for the Ubiquiti Bullet, but it’s easy enough to do and if you have any questions, Bob can walk you through the setup. It only take a minute or two (at the most) to click on a few links in the software to get it set up and select the network to which you want to connect. Extremely nice in marinas where the wifi signal isn’t always that good, or if you’re on the marina’s moorings. We have ours connected to our boat’s internal wifi system so anyone onboard with the password can have decent internet access. Hi Bob, I’ve heard nothing but good things about IslandTime for years. But I think there’s value in breaking down the small boat WiFi bridge market into sub categories. IslandTime (and probably others) sell hardware kits direct to boaters with direct support, but no cruiser specific interface. CMW, Bitstorm and probably others invested to some degree in specialized interface software and charge more, but also sell and support direct. Wave, Aegean, and others may charge even more, but they’ve made room for distribution through marine technical dealers, which may well mean professional install and support right at your boat yard. That last part is a little vague — which is why RedPort, Winegard, Shakespeare, and Glomex may not fit in easily — but the point is that there are different types of consumers (markets) even in one as small as this one. Nice discussion. I am not an IT professional, but I do consider myself a little IT savvy. A few years ago I decided to add a WiFi system to my boat.  I looked at many packages and providers at the time and decided to build my own. 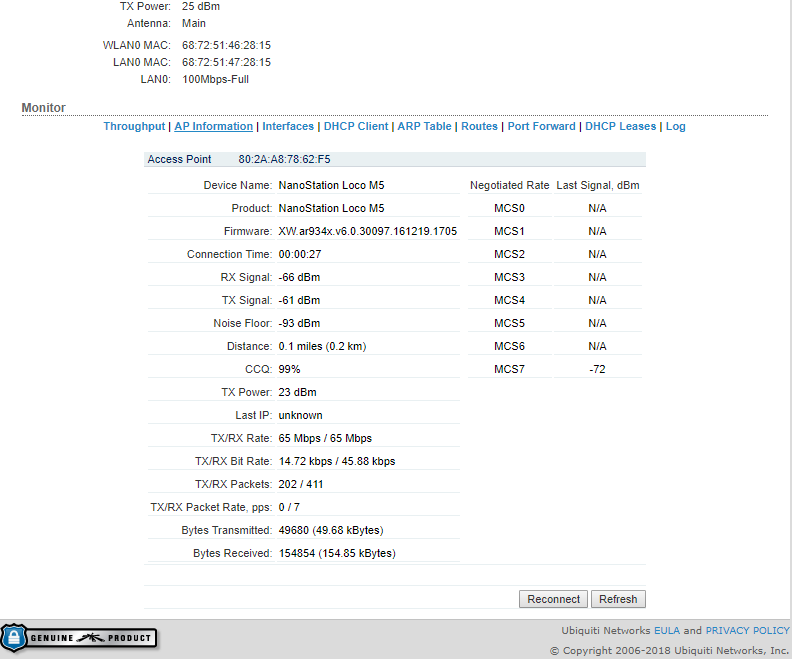 I went with Ubiquiti BULLET-M2-HP and installed a complete system for about $100(purchased mostly via Amazon). 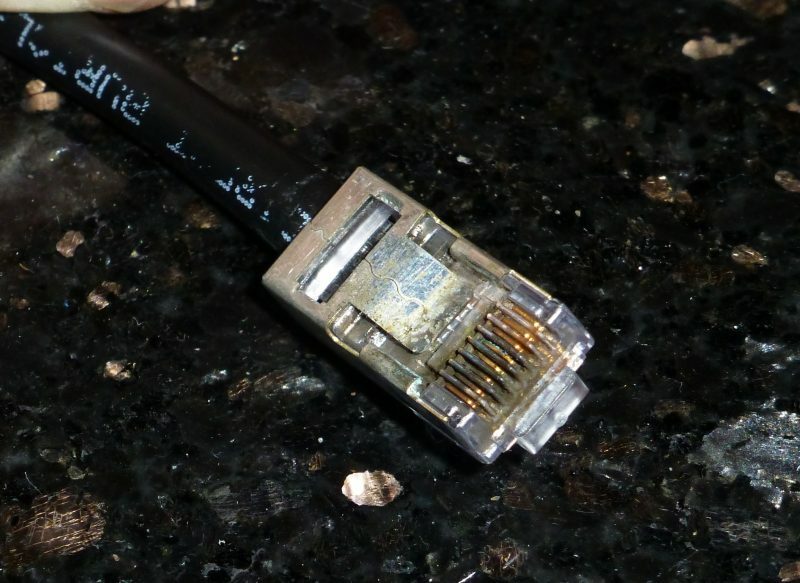 I learned a bunch in the process(like how to install RJ45 connectors). The 8dBi omni antenna I purchased came with a mounting bracket so mounting the M2 on the mast was trivial. The only challenge was in configuring the M2 and my local network. I have a friend who wanted a similar system, so I wrote up a description along with procedures. See http://svjohannarose.blogspot.com/search/label/WiFiWork is you are interested. The system has been working fine, and it has been through many Florida tropical storms and hurricanes. With regards to the procedures for changing the remote WiFi access, which is correctly listed above, it does not seem as jaunting as the above description makes it out to be. To be honest, I did not even realize the number of steps. It feels like 4-5 steps taking about 45-60 seconds. I do agree that the two steps of changing the setting and then apply them, is an initial sticking point, and while not a simple one click procedure, it is still easy enough for most. But to be honest, most of the time my WiFi is connected to my marina WiFi. I leave the system on all the time now. I did so first to let neighbors connect to the WiFi as Marina’s signal is too weak for device use. But, now I have started adding smart WiFi devices like the Lyric T-5 WiFi thermostat. It is really nice to check and control the AC or heat remotely. I agree, the process of connecting with the Ubiquiti isn’t daunting. But, the contrast to the 4 steps of the Wave is startling. It’s so fast and easy with the Wave. Your use case, if I understand it correctly, of usually being connected to the same network at the same marina is one for which the Ubiquiti is quite well suited and a good case in which to save some money. Yes, but while I’m not constantly changing providers, when I do, I don’t need to follow any documented instructions, from my iPhone I just click on a bookmark for the M2, let my phone automatically enter the login info, and then click a few buttons on the M2 configurations page. That said, I may check out the Coastal Marine App. I run a business while onboard our 1977 Pacemaker 40. I do it using a Verizon JetPack with unlimited data. I am on the internet for hours at a time, with no trouble. How is it different from the solutions you have mentioned? The JetPack you’re using takes Verizon’s cellular network and makes it available to your devices via WiFi. You’re paying for the JetPack service and it will work anywhere you have cellular service. 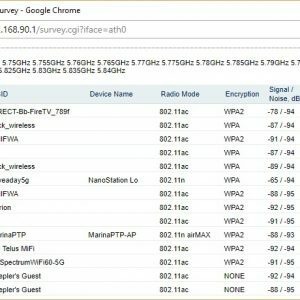 The WiFi bridges being discussed in this article connect to a WiFi network on shore and make it available on your boat. The range of the shore based WiFi networks is much more limited but you’re (likely) not paying for service on those networks. Nice article. Couple of things – just for clarity, you presented the interface and a hyperlink for the Rogue Wave Pro Dual-Band, but later in the cost comparison you quoted the standard Rogue Wave kit at $335 – as I’m sure you know, the Dual band model sells for almost twice that. That said, I get that its the same interface, and the single band 2.4 Ghz vs. dual-band 2.4/5 Ghz is a different consideration – albeit perhaps just as important as user-friendliness, in my experience. What good is a simple interface, if the marina is saturated with yachts all broadcasting at full-power on 3 shared channels on 2.4Ghz, all using Wi-fi bridges of some sort? At this point a 5 Ghz solution becomes the only route to success, regardless of the complexity of the interface. And the Ubiquiti AirOS IS complex! Not only is it 10 pages, and full of Save/Apply “gotchas”, its filled with terminology that most non-networking experts have never seen before. I ended up having to create a multiple page, printed step-by-step guide for a 70 year-old couple just so they could connect their Wi-Fi on their cruises. Anyone who thinks this is trivial should try and walk their grandparents through it – good luck. 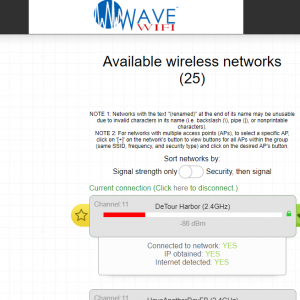 While the Wave Wi-Fi interface is simple and attractive, the fact that it doesn’t allow deeper access to some settings, particularly the transmit EIRP adjustments, makes it a non-starter for me. After considerable more trial and error with the BadBoy Extreme (Bullet-based solution), I found the transmit power setting crucial in obtaining a reliable connection. 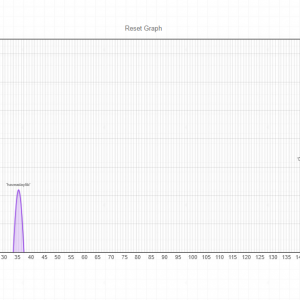 Bitstorm’s firmware doesn’t auto-adjust like the CMW unit Ben E. describes, but it does provide several graphs that enable you to visually see what’s going on with signal, noise, and throughput. Unfortunately, in a crowded marina, you’re ultimately at the mercy of the boats around you. All it takes is a couple of yachts with powerful wi-fi bridges to drown out everyone else, whether out of ignorance or a lack of courtesy. It’s an education challenge. 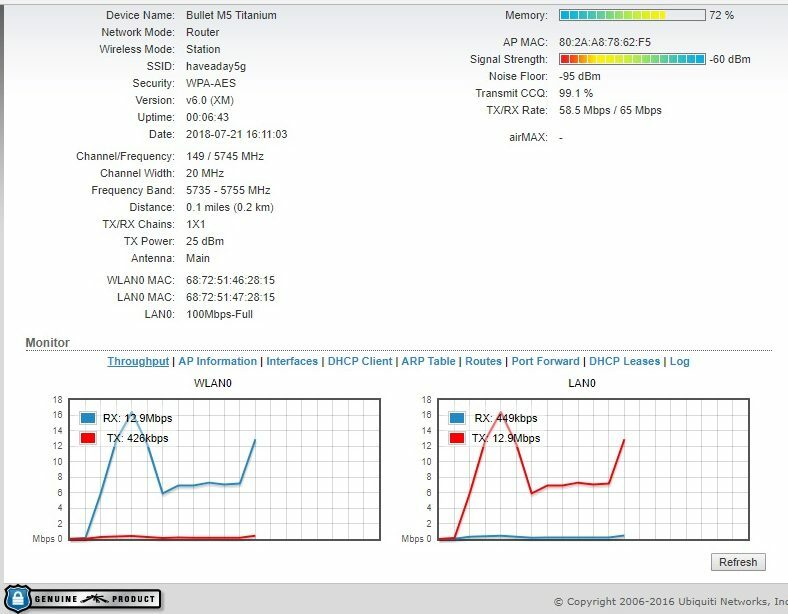 If your connection shows a signal strength of say, -55 dBm, that’s an incredibly strong signal – You don’t NEED to be operating at anywhere near full power. And you’re actually causing the marinas radio to ratchet down their output in response to your over-powered connection, making things worse for everyone. Every time you get on the internet to do a web search or check your email, everyone else’s connection “mysteriously” goes away – except it’s not a mystery, it’s very predictable. Then the marina gets blamed for having “flakey” Wi-Fi. The guys at Bitstorm have a good analogy that goes something like this: A hundred folks are in a meeting room, all having normal conversations among themselves. Then a guy with a megaphone starts blaring announcements. Everyone covers their ears because it’s so loud. All conversations stop until the guy with the megaphone stops talking. Then the other conversations resume. This is how the AGC (Automatic Gain Control) functions respond in this scenario. Bottom line – you can – and should – monitor your own Wi-Fi bridge output in busy marinas, but ultimately you’re at the mercy of anyone else with a Wi-Fi bridge. And if they have a “user-friendly” interface, then it may not even be possible, no mater how informed or courteous they are! Great clarification about the multiple models of Wave Rogue products. In making the price comparison I tried to find the two most comparable products, however, that’s not what I had to test. On the topic of power settings. Ben Ellison and I actually had a conversation about terminology because of the natural tendency to assume more power is better. These devices have frequently been called high-powered bridges. I chose not to use that terminology as it sort of implies high power is inherently better. You make the case very well for why that’s not the case. 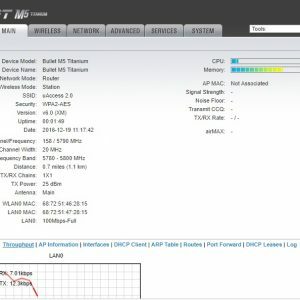 Hi Ben, FWIW, I took the cheap route – I bought a 2 GHz “Titanium” Bullet, an inexpensive 12V Ethernet router/wifi AP and used a $5 POE interface (intended for IP cameras) to power the Bullet from 12V. I got a 6 or 8 dB antenna (short!) which came with a bracket that would have worked well in Arizona (the U-bolt is rusting badly at sea). I doubt I have $200 in the whole setup, though I did have to do some fiddly wiring to power all that stuff up thru a single switch. My chief complaint is that, unlike my laptop & fone, the Bullet doesn’t remember ANYTHING except what it was doing last (it IS easy to program, however) I suppose I shouldn’t complain, as it has been absolutely reliable for going on 3 years now. For areas without WiFi, I have a Verizon MiFi – which works well, but they do throttle you after 15 GB in a month (a good reason to use marina WiFi when available!). Hartley, you’re complaint about not remembering networks is one of the main points I attempted to make. 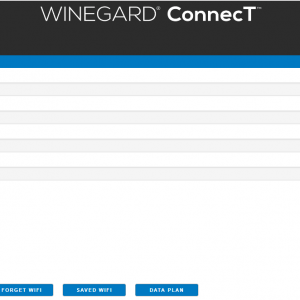 Ubiquiti assumes you’re configuring the device once on one network never to change. We all know that’s not how we use these devices on a boat. NautiCloud is at it again. After being the first to provide an onboard WiFi network and the offboard WiFi network using Ubiquitis rich interfaces in a single easy to mount device, NautiCloud has now given boat owners and tinkerers the access to their NMEA data they have been looking for. By integrating signalk and NautiCloud, owners can now have both onboard and offboard (in the cloud) access to their boats data. Everything from battery state to wind direction, whatever is on your nmea network. With solar charging systems proliferating, more and more boat owners are expecting that they can leave their bilge pumps *and* their instruments powered and linked to the cloud using NautiCloud. 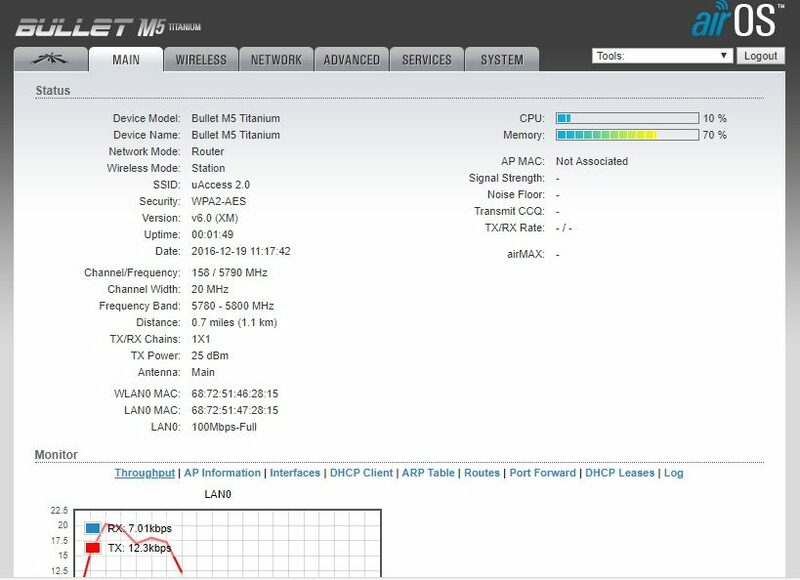 I’ve worked professionally with the raw Ubiquiti stuff, and I’ve also installed and configured a few Bitstorm units, so I can confirm that a well-thought-out ‘boater’ system like Bitstorm really will simplify installation and use for the average (non-IT-nerd) boater. It would be interesting to hear from your readers whether they’re successfully finding decent free wifi access when they anchor out or there isn’t marina/club wifi. It’s my impression that there are far fewer free APs to access, or you’re going through some restaurant’s mediated system, with a sign-in page etc. Hi Ken, I live in the north east – Long Island area, I have been using the bullet for almost six years now. In this area my ISP has many, many hot spots. I can pick these up almost anywhere, I leave the SSID in the bullet and only have to cycle power once in a while and it auto re-connects. In the land of nothing is free – this setup ROCKS! I always have a signal while at a dock, secluded anchor is still a tough one, very hit or miss. I wanted to add that there is an app (UNMS) for the bullet that makes this whole setup thing beyond easy to switch between sources when doing site scans. Give this a try and I think you will agree this is the only way to go. Thanks for the info Ben, you’re spot on about the complexity of the Bullet setup. I ‘ve used the a similar setup for years. One thing I was able to find, and wanted to pass on, was a 2.4ghz antenna with a standard marine mount and a 3 foot coax. It has a RP-SMA plug so you have to adapt to the the Bullet but the 3 foot pigtail moves the bullet into the protection of my cabin at the base of the radar arch. The small RP-SMA connector also means a small hole in the radar arch to pass the cable through. In fact, I used a hole that was drilled for a TV coax and had plenty room for caulk. It’s a little more money than the antenna you mentioned but it makes for a very simple, clean and professional installation. Most people think it’s just another VHF antenna. I am in not affiliated with the manufacturer or the site I’ve bought them from but here is the address for the antenna. I wish I could find one in 5ghz. Late to the party here but wanted to note one other issue I have found with the Mikrotik and Ubiquiti options for boaters. In the recent versions (recent as in a few years old) of firmware running on both devices, the older WEP encryption has been removed from the software. While this is good and fine for the security of a corporate IT network, it can be an issue for a cruiser travelling between various ports. 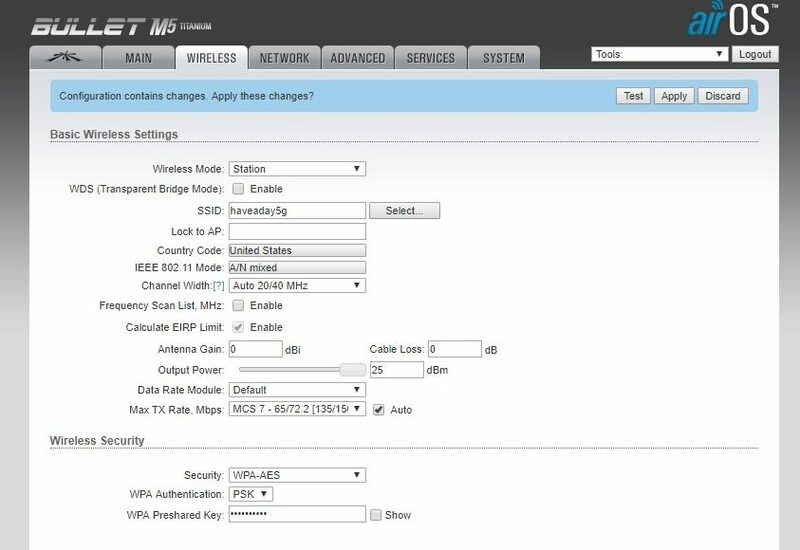 A boater typically doesn’t have control of the network they are connecting to (ie: Marina, Harbor, Starbucks, etc) and we hav found more than a few marinas still running WEP encryption on their networks. While our Wave WiFi and Redport devices (we have multiple devices on our boat) will connect to those networks no problem, the Bullet and MikroTik Groove will not. 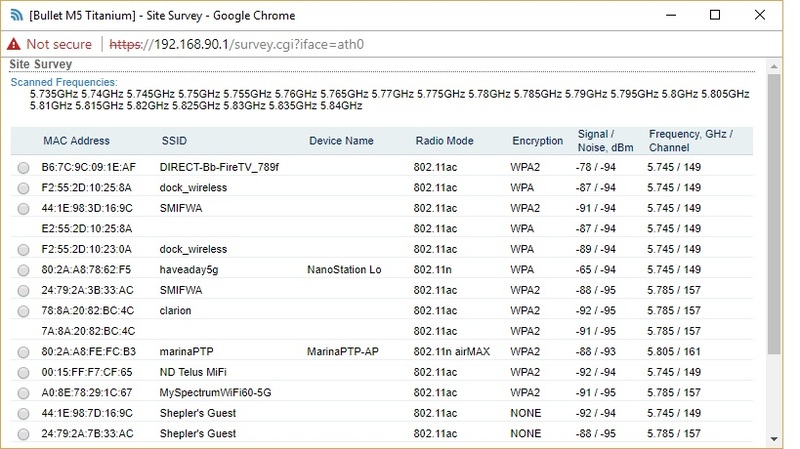 All of the major marine wifi vendors (Wave, Redport, Bitstorm, etc) who write or modify their interfaces for the boating community who buy from them maintain support for connecting to WEP secured networks. As said here, Ubiquiti and MikroTik make great products for their intended purpose, but not only are they more complex to use, they also leave out functionality that a boater may need. Just my $0.02. Richard, I’m sitting in one of those places right now :(. The marina in Delaware City uses WEP – so my Bullet is useless, and downgrading my Bullet by a dozen firmware versions isn’t going to happen! Their signal isn’t strong enuff to reach my laptop direct. Hi Ben, Internet connection is important to us on our 43′ sailboat in Mexico as well, but we’ve taken a slightly different and simpler approach which has been working well and I’d like to share it with you and your readers. Firstly , the problem has two separate cases, at the dock (where Wi-Fi exists) and at anchor or underway (where Wi-Fi is transitory, at best). Using Wi-Fi at the Dock. At the dock we have two problems. One the signal from our laptop is insufficient to connect with the Access Point on land and two, there is a lot of noise from reflected signals in the marina. 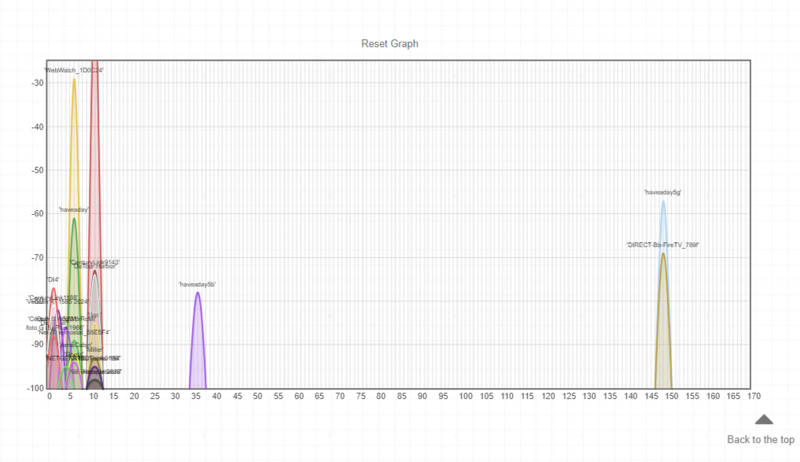 We started using a Linksys USB antenna which gave us a good signal (and ours easily reached the AP) but the connection was slow and dropped out often. We suspected that the reflected signals from all the sailboat masts and other metal in the marina was making life difficult for the laptop even with a strong signal. We changed to a uni-directional Bear Extender USB Wi-Fi antenna and things got much better. This antenna, for less than $60, aimed at the AP, cut out the chafe and we now have excellent Internet in almost any marina where we can get a WiFi signal. Obviously, with a uni-directional antenna it does not work well at anchor because the boat swings too much. Using Cellular while away from the dock. At anchor or underway we don’t really bother with WiFi. Cellular coverage extends further than most Wi-Fi systems and swinging is not an issue. Either by using a USB cellular modem on a 6′ cable (out the companionway) or with a longer extension USB cable, we are able to connect our laptop to any cellular system. Having a long term data package makes this more cost effective. With either the Wi-Fi or the cellular connection we set up a “hotspot” using the Laptops’ built in Wi-Fi. In this way, once the laptop has an internet connect we can share it via the hotspot. Anyone on the boat with a phone or tablet then has Internet. We currently use “Connectify” (a software package) to drive our laptop’s hotspot, and it is simple but provides sufficient flexibility and monitoring tools for us to be able to provide good service for our passengers or crew. Even simpler. We also have used several of our phone’s capability to provide a hotspot for other devices however we find that the phone must be placed high enough to get a good signal, and we have had trouble connecting the laptop to the phone’s hotspot. So, our solution is dead simple, requires little or no extra power, cabling, or antenna mounting, and works well. 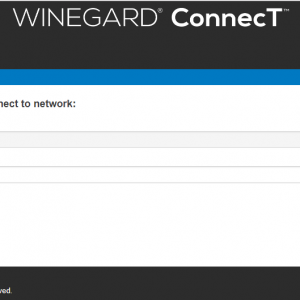 The windows connection manager and the Connectify manager give us all we need to run and manage the Internet connections.